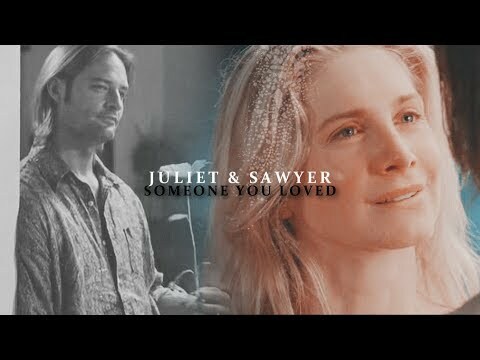 sawyer/juliet | bless the broken road. چنیں پرستار: "Don't let go"
پسندیدہ part of the reunion scene? What's your پسندیدہ SJ "thing"? Out of my favourites, pick yours. Can any arts maker make me a پیپر وال with Suliet's reunion scene? I really think we should have one! My PC is begging me! I'd love to make arts for these two, but I can't find screencaps of them from the last episode, their goodbye. does anybody know a site where I can find some? ‘The wedding will be canceled’ Mark کہا with great confidence to his wife, while she looked at him sideways ignoring his meaningless تبصرہ and not letting it distract her from reading her book. ‘I heard and I refuse to تبصرہ on something I don’t understand’ she کہا still looking at her book. The اگلے دن he woke up early, much earlier than he had wanted to. Sawyer sighed heavily; once again she had filled his dreams. The ever mounting worry was why he never really let himself fall in love ... Cassidy had been the exception and he’d even screwed her over. He shook his head slightly, and though the image of her shuddered, it didn’t go away. I started writing this a few weeks back, it's a work in progress lol, I گیا کیا پوسٹ it on fanfiction.net but Sahour95 asked me to post it here too :-) I'll post each chapter every few days یا so ... Hope آپ all enjoy it! As I noticed in lots of websites, people are saying Suliet came from nowhere. As unexpected, and the worst couples ever. But if آپ really look at their relationship, and what the writers are thinking of, آپ would really change your mind. Beside the thing that I'm extremely annoyened I got some ansewrs to prove they're wrong. ok I know nothing happened YET between them , but we don't know what will happen inseason five.Since they'll lead the people on the island. Even if they don't become a real couple before the oceanic six get back,they'll get close to each other . And they'll find feelings to each other inside them . ok I'm 100% Skater , but after season4 I started to get sick from this whol Kate loves Jack but she's with Sawyer , and because Sawyer is my fav charecter I was realy mad because of Kate doing this to Sawyer , so when the idea of Conmama started I was very excited but then I realized that Sawyer was treating Claire as his littel sister not as he likes her!! a comment was made to the poll: did آپ cry when juliet died? a comment was made to the poll: پسندیدہ scene featuring Juliet and Sawyer? What does Juliet call Sawyer most of the time?